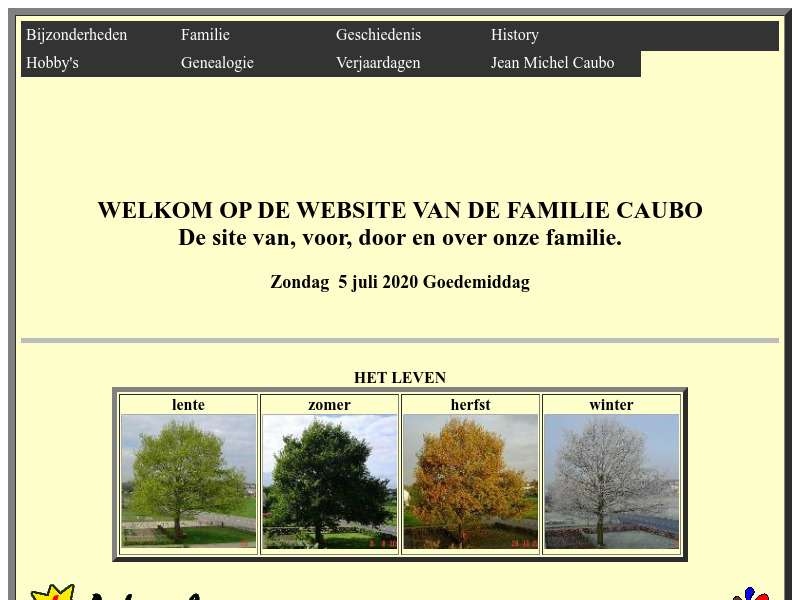 Stamboom families Carpay, Kessels, Van Gurp en Sanders. 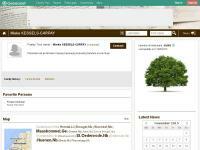 A genealogical publication by Brian Case with information about, among others, the families Case, Darnold, Taylor, Albertson, Cox, Counts, Wilson, Carlson and Carlson. 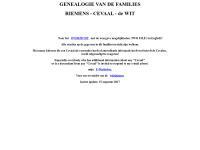 A genealogical publication by Erin Casner with information about, among others, the families Royer, Kurtz, Catherman, Gross, Young, Coup, Shively, Van Lew and Hood. 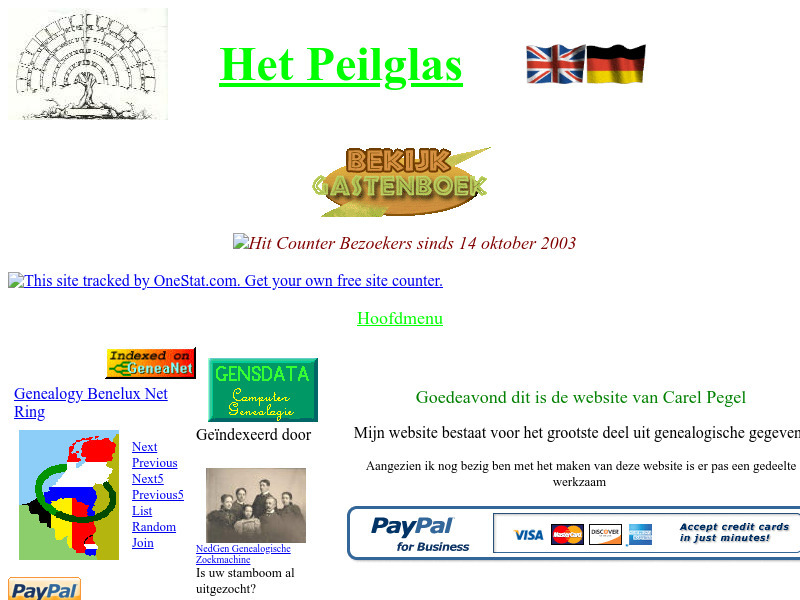 Een publicatie door Ilse de Zwart met gegevens over oa. 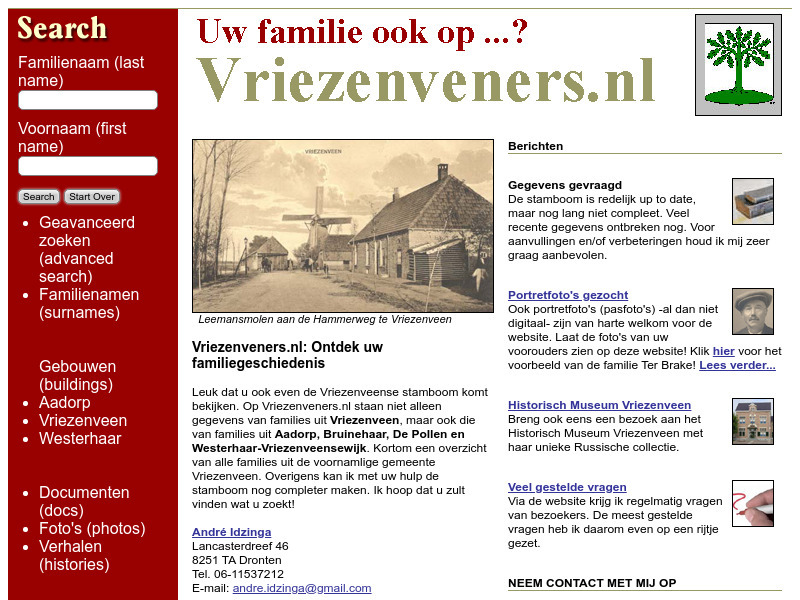 de families Tetteroo, Van Tetrode, Vink, Casperse (Ze), Steenvoorden, Caspers, Casperse, Duivenvoorden, De Zwart en Zandbergen. 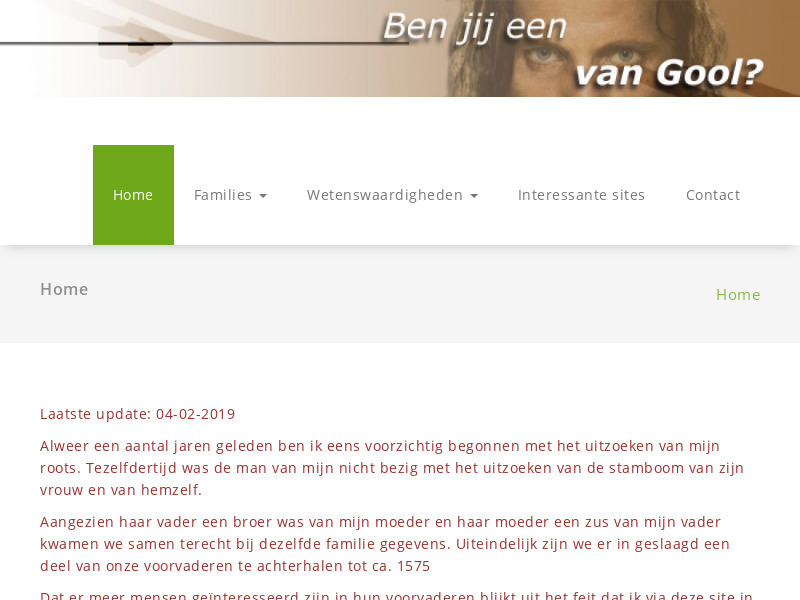 Familie Ten Cate, afkomstig uit Vriezenveen. 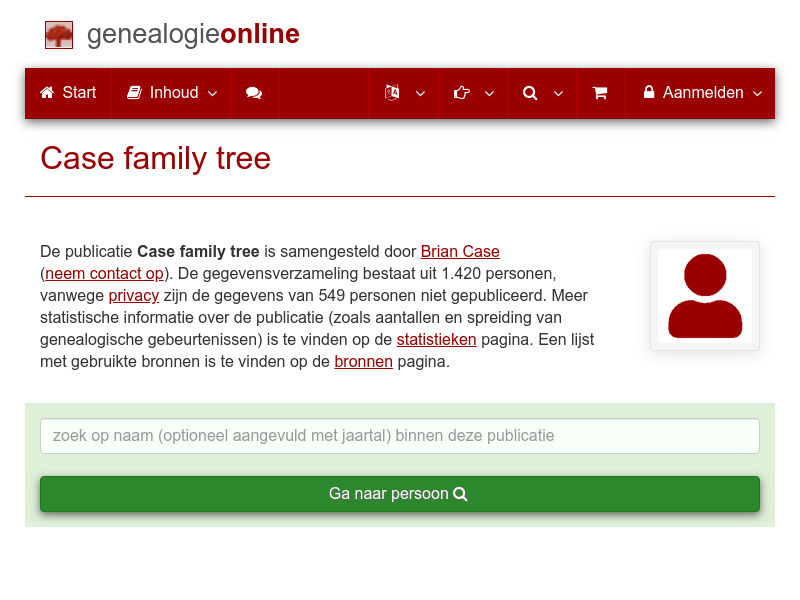 Parenteel van de familie Chabot en andere aanverwante families. 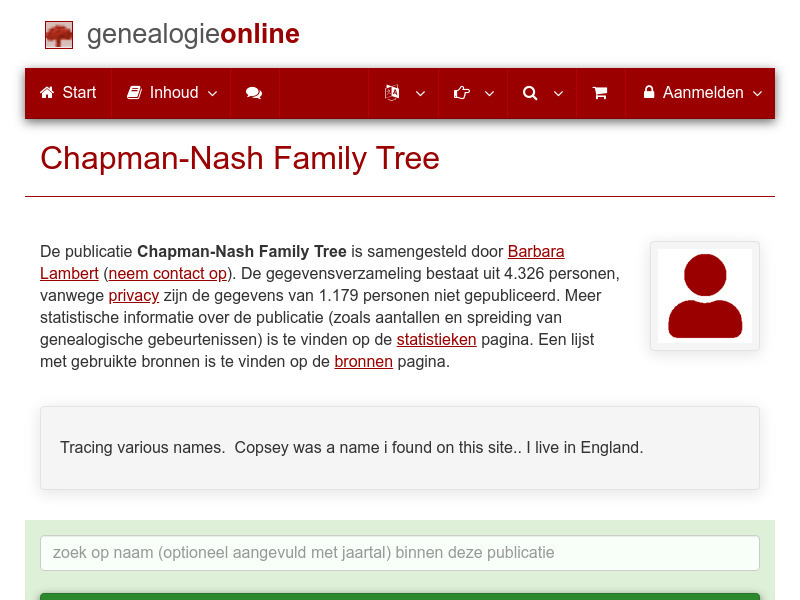 A genealogical publication by Barbara Lambert with information about, among others, the families Ransley, Chapman, Bowyer, Langford, Clark, Nash, White, Friend and Smith.